33/15.5--16.5 N/A 0 lbs 49 psi 29/32nds N/A 15" N/A 33"
Purchase includes the Solideal Tractionmaster R1 Pneumatic tire only. The wheel rim shown in the picture is not included. Picture provided is a stock picture from the manufacturer and may or may not reflect the actual product being ordered. 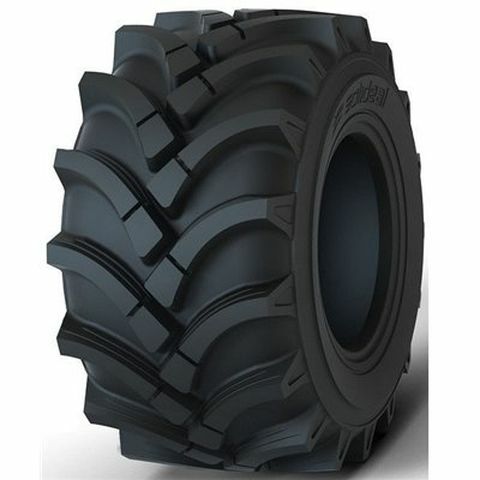 All Solideal Tractionmaster R1 Pneumatic tires are continuously developing with manufactured improvements. With that said, Simple Tire and the manufacturers have the right to change these tire specifications at any time without notice or obligation. Please Note: Specifications of the Solideal Tractionmaster R1 Pneumatic tires shown above are listed to be as accurate as possible based on the information provided to us by Solideal tires. Fast delivery, great price and a great product. Could not have asked for anything else. By submitting a review, each person received a sweepstakes entry. Very nice would recommend to anyone, 10/10 would come back again, very nice handling and traction, fit on the wheels very nicely no problems, took less than 5 minutes, got my brother to buy some he said they were great and he should have bought them earlier By submitting a review, each person received a sweepstakes entry. Bought these for my forklift, seem like a very nicely made tire. Hard to find!! Great traction in the dirt, hard ground is not much compromised. Little more tread depth might be nice but it makes it more stable and doesn't tear up ground. Will buy again when it wears out!